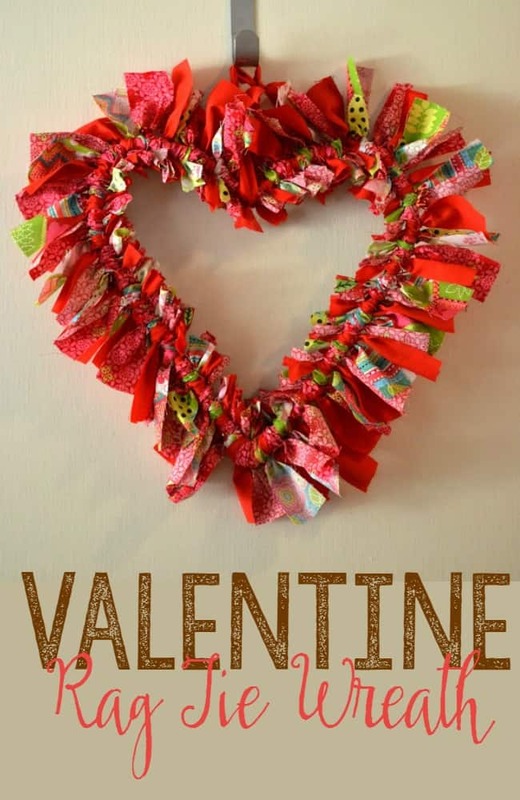 If you are wanting to pretty up your front door this Valentine’s Day then you can’t get any simpler than this Valentine rag tie wreath. This wreath is made pretty much the same way as the rag tie garland. Cut all your fabric pieces. You will have to adjust the tie lengths depending on your wreath form. If you have a thicker wreath form make longer pieces. I would test fit one to make sure you get the perfect tie length. My heart form, which I bought at Dollar Tree, was small in diameter so I just used 1-inch x 8-inch strips. Once you get your strips cut just start tying on the pieces. 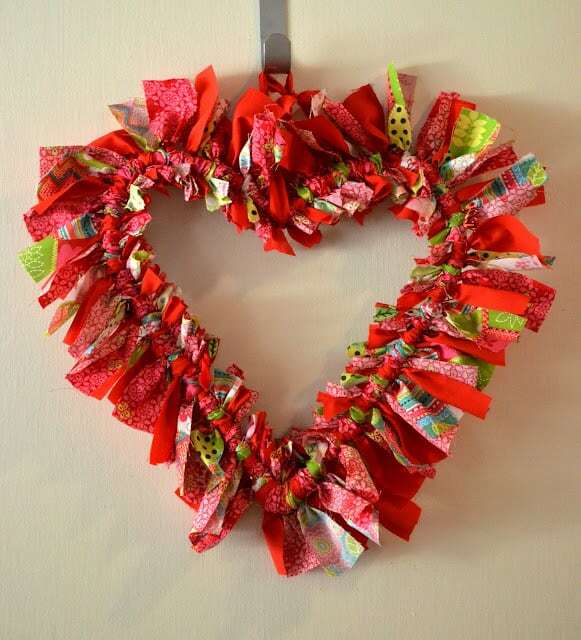 You can also purchase heart forms from hobby lobby or if you have some old wire hangers shape one into a heart. This is the way it will look when you are finished tying on all the pieces and after about a billion hours of just tying, tying, tying. That is the one thing I don’t particular care for when making rag tie projects. They take forever and a day but I love the end results. 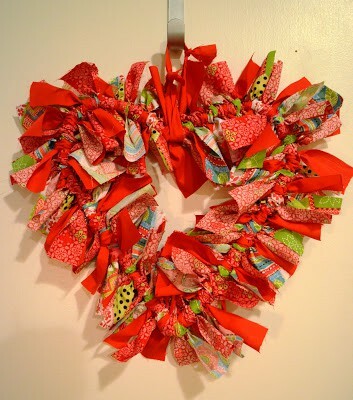 I wanted to see the heart shape more so I trimmed out the pieces on the inside of the wreath. I didn’t add any embellishments but I think a cute wood x and o attached to it would look super cute. I hung my wreath with an extra piece of fabric but you can of course always find some cute ribbon to hang it with. 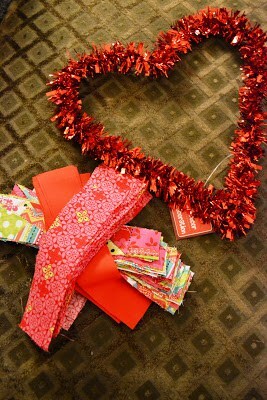 Party Ideas for Valentine’s Day! That’s beautiful and looks totally easy too! I’m a new follower from the Fun Friday Blog Hop. Have a great weekend! Thanks hun.. and it is definitely easy to do. Thanks so much for following.